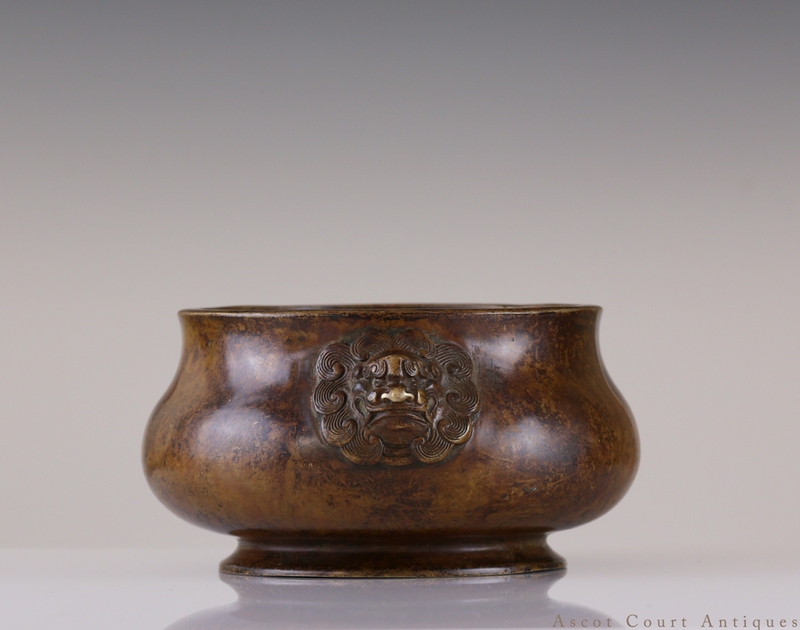 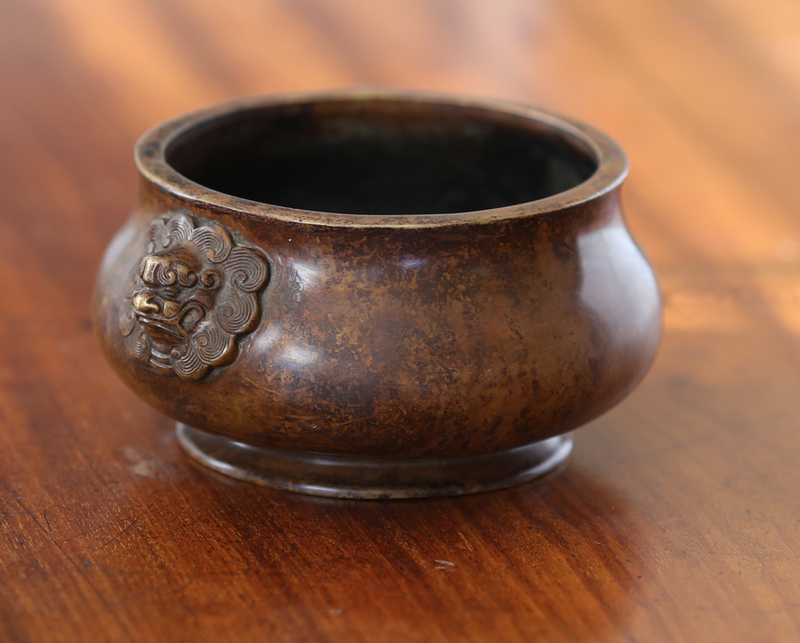 A rare and beautiful 17th century bronze censer, of a proportionally pleasing form with a compressed bulging body raised on a flared foot, with the rim everted and the handles casted as twin Buddhist lion heads. 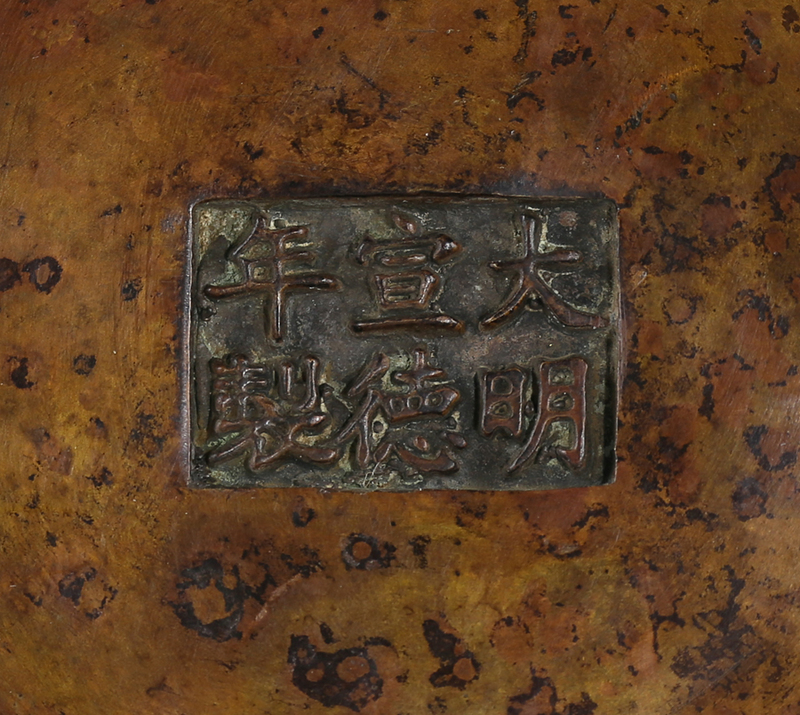 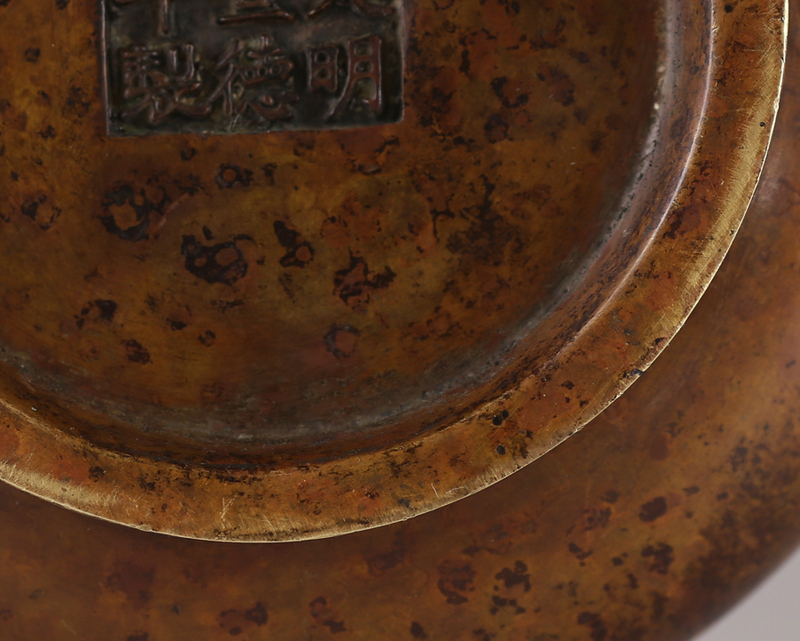 The base is marked with a six character Ming Xuande mark. 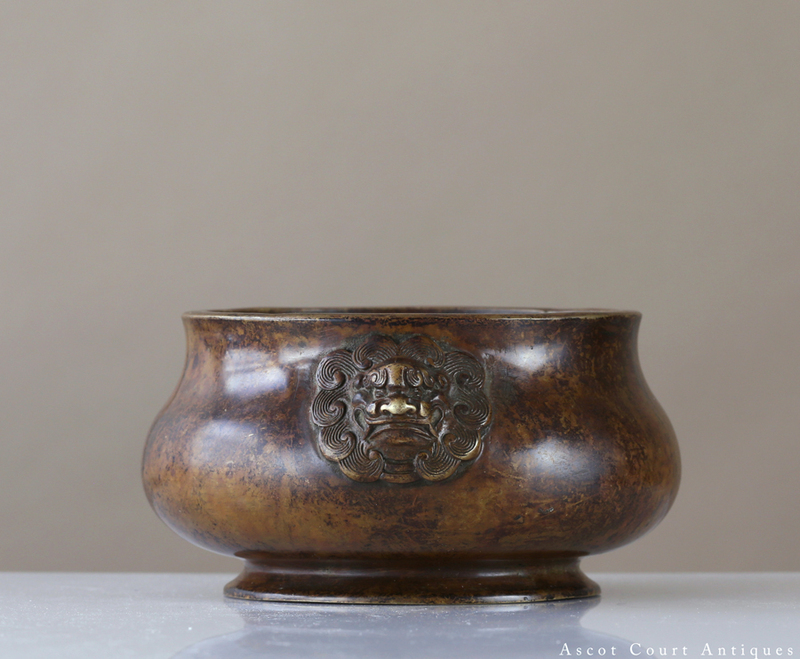 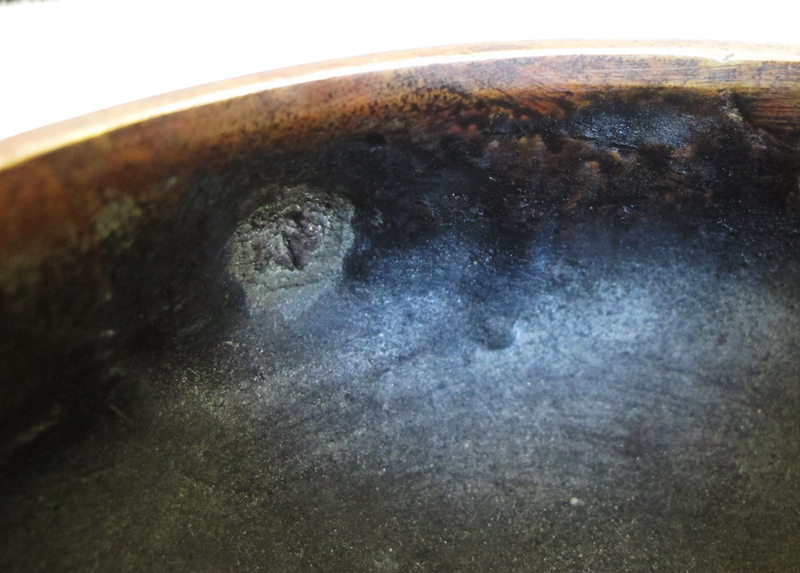 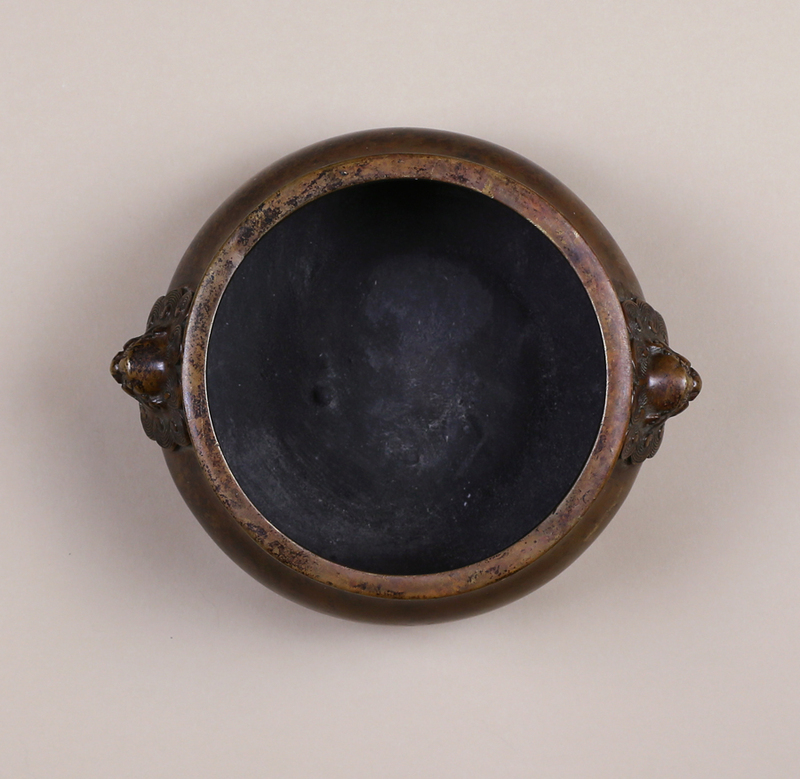 The natural patina of this censer is especially gorgeous due to its glossy shine and almost mysterious layers of colors. 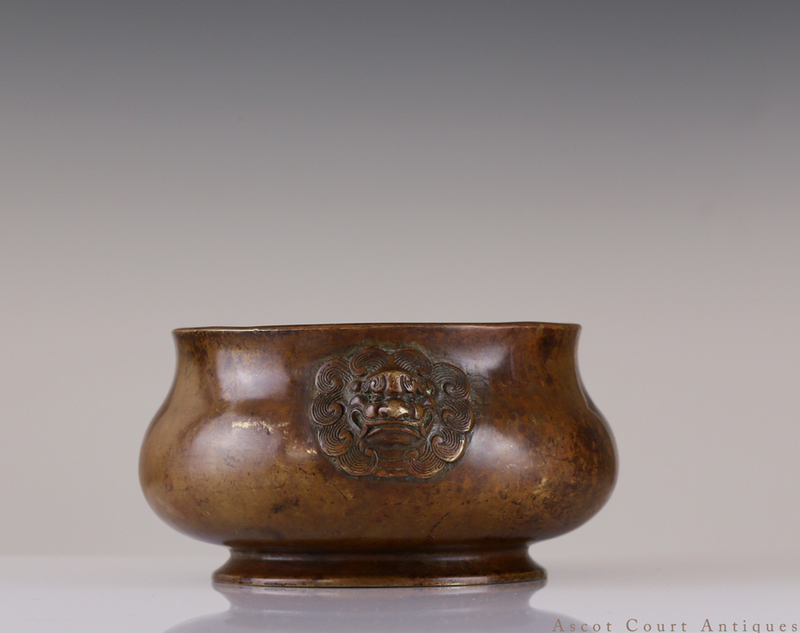 For reasons unknown, censers of this form, with its signature lion heads were almost exclusively popular during the 17th century. 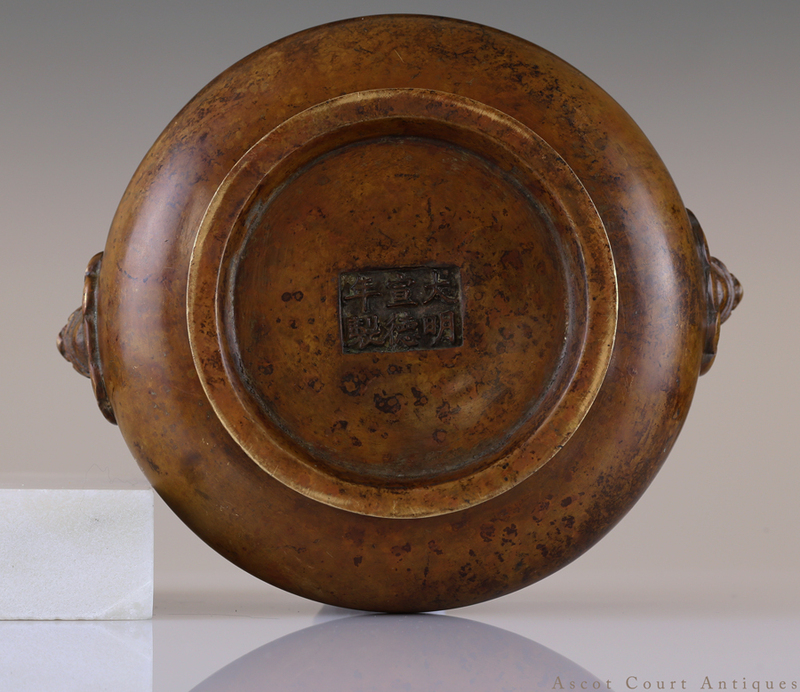 Dehua kiln blanc-de-chine censers dating from the same period share almost the identical shape (see last picture). 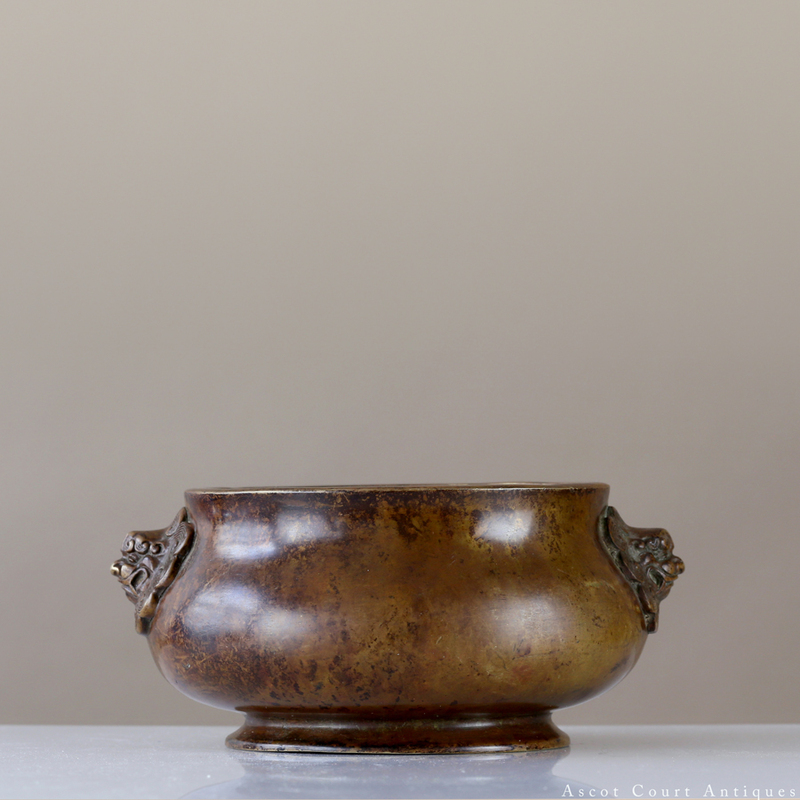 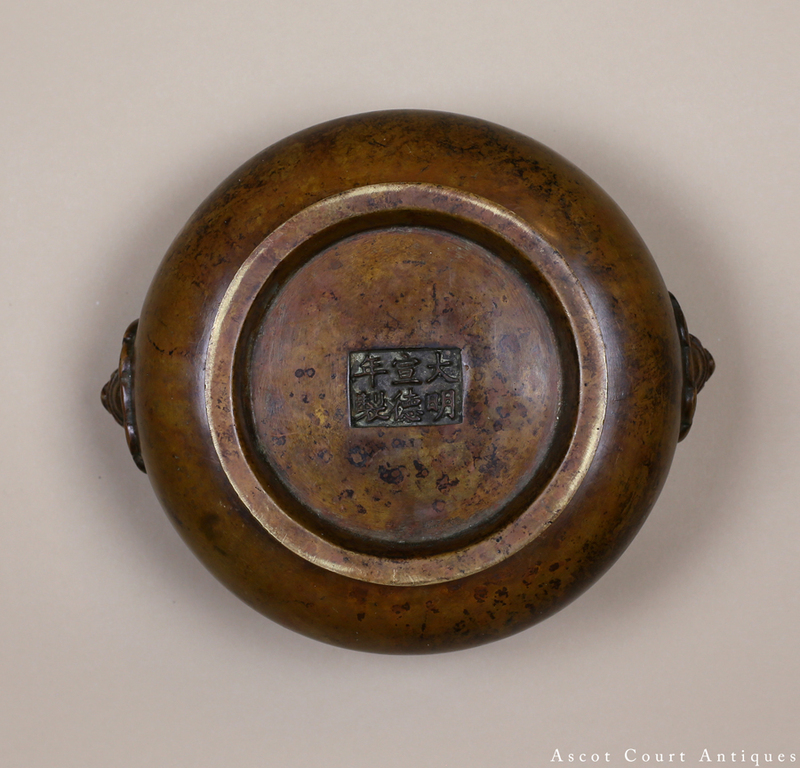 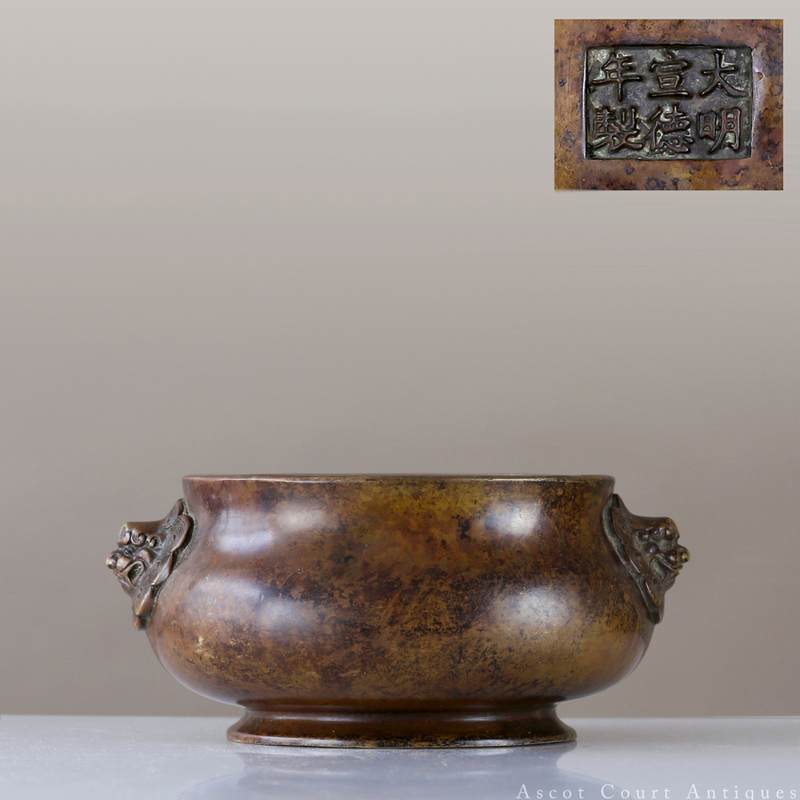 For similar censers, see Christie’s Sale 2875 lot 419, Christie’s Sale 4012 lot 482, and Sotheby’s Sale n09192 lot 578.